The dedication of the Lyndon Baines Johnson Library and Museum Plaza and the Lady Bird Johnson Center at The University of Texas at Austin will be held at 10 a.m., Friday, Nov. 13, for invited guests celebrating the final stages of completion for several elements of a $34.25 million project funded by the federal government and the university. Lynda Johnson Robb and Luci Baines Johnson, daughters of the former president and first lady, are among the Johnson family members planning to attend the event. Speakers will include Sen. Kay Bailey Hutchison, R-Texas; Larry E. Temple, president of the LBJ Foundation; William Powers Jr., president of The University of Texas at Austin; and Mark K. Updegrove, director of the LBJ Library and Museum. The renovations of the plaza and the library and museum are part of a $53.67 million funding package that also provided $19.42 million for interior renovation of facilities for the LBJ School of Public Affairs in the nearby Sid Richardson Hall III building, which is scheduled for completion Dec. 15. Temple said the LBJ Foundation acknowledges an “incalculable debt of gratitude” to The University of Texas at Austin, the National Archives and especially Sen. Hutchison for their support of the project. He said Hutchison took the leadership initiative to get the federal government’s share of the funding so the public can benefit from the facility. Powers said the renovations address deterioration that had occurred since the LBJ Library was dedicated in 1971. Although the building design was state-of-the-art, through the years it had developed problems, including water leaks. Exterior renovations involved in the project included cleaning and restoration of the library and museum building’s exterior walls and transformation of the fountains on the plaza into elevated arboretums with native Texas plants, providing an inviting setting for visitors approaching the building. 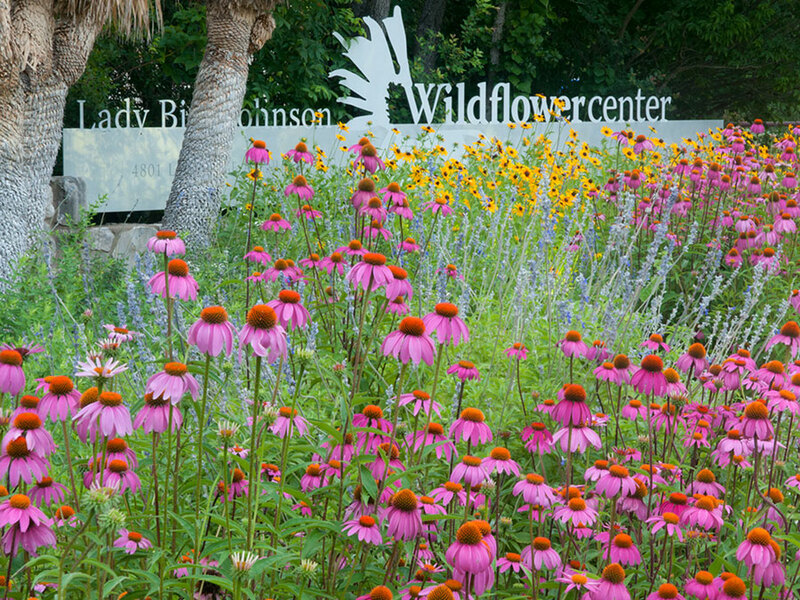 Bob Rawski, program manager for The University of Texas System’s Office of Facilities Planning and Construction, said planners have been working with the Lady Bird Johnson Wildflower Center in selection of the plants. Rawski said planners also worked with the Texas Historical Commission in selecting the sturdier granite stone to replace the travertine that had been the flooring surface for the plaza. Inside the library and museum, the auditorium has been renovated and renamed the Lady Bird Johnson Auditorium. Nearby, a large classroom area has been constructed for use by visiting students of all ages to study the life and times of President Johnson and Lady Bird Johnson, as well as a broad range of topics. 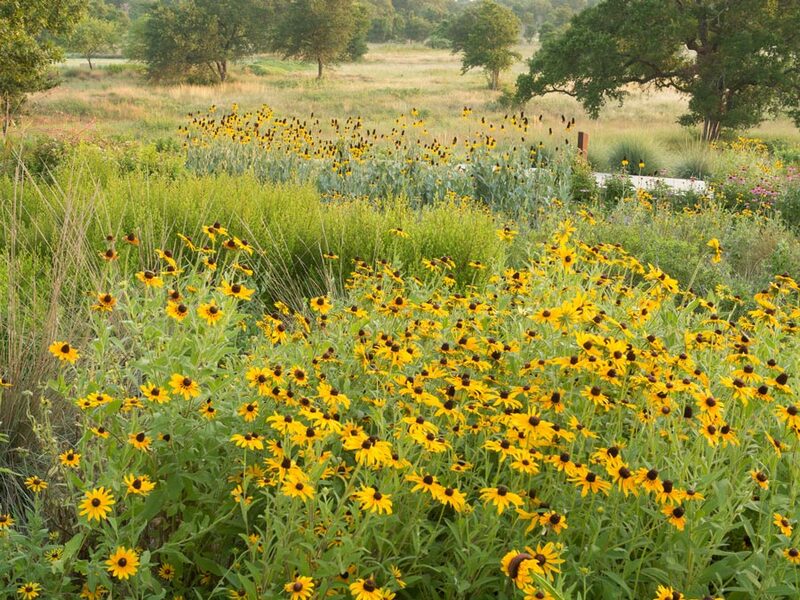 The project architect is Overland Partners of San Antonio, Texas. The construction manager is Flintco and the project management is by The University of Texas System’s Office of Facilities Planning and Construction.